3). 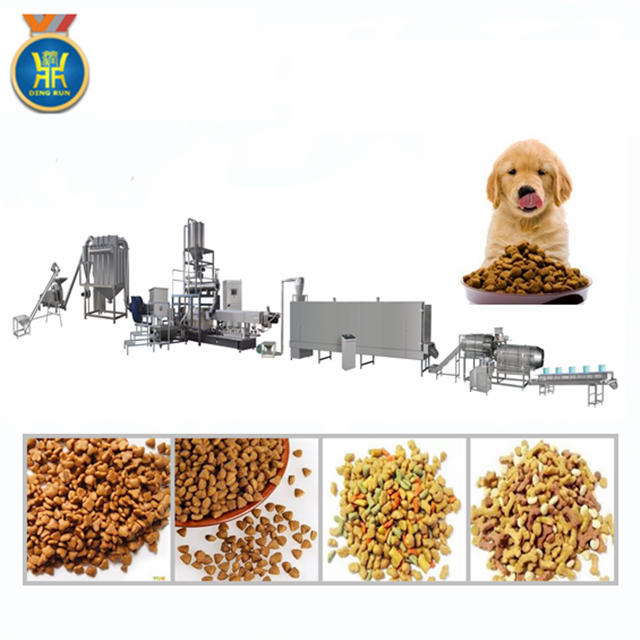 Dingrun provide basic fish food formula according to your require. 6). 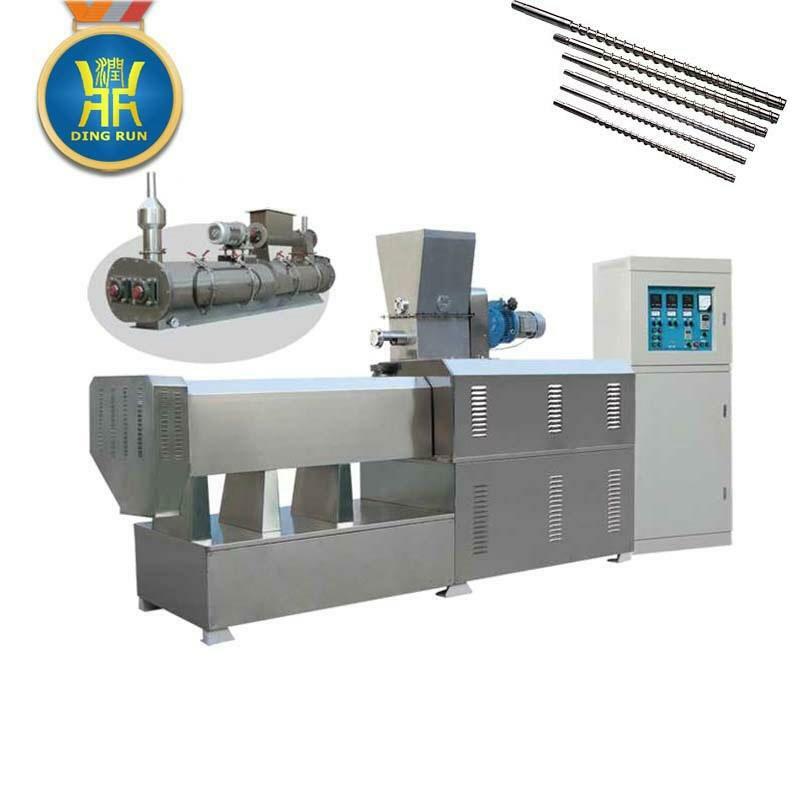 Packing machine could be supplied to work with the Fish feed machine floating fish feed extruder machine (depending on your require). 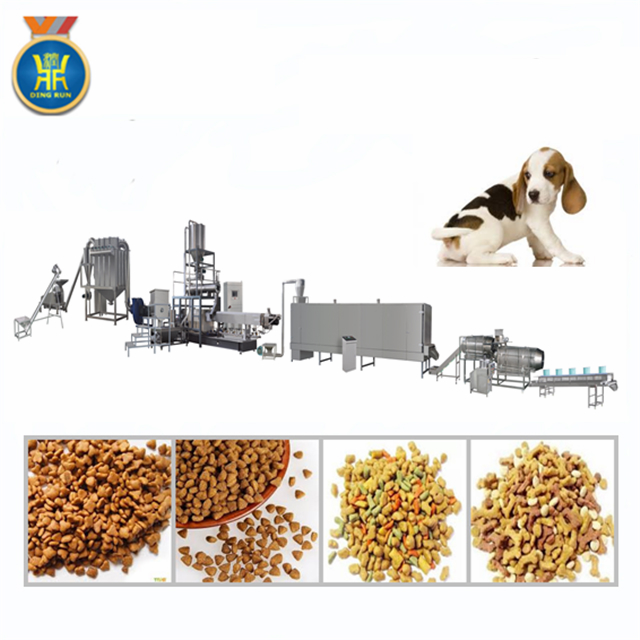 Most fish feed pellet inculding animal protein and plant protein, Plant protein adopts corn flour,rice flour,wheat flour,soybean flour,peanut cake powder…..Animal protein adopts fish meal, shrimp meal,crab meal, sleeve-fish meal and so on….you can add other ingredient according to the local fish live require. 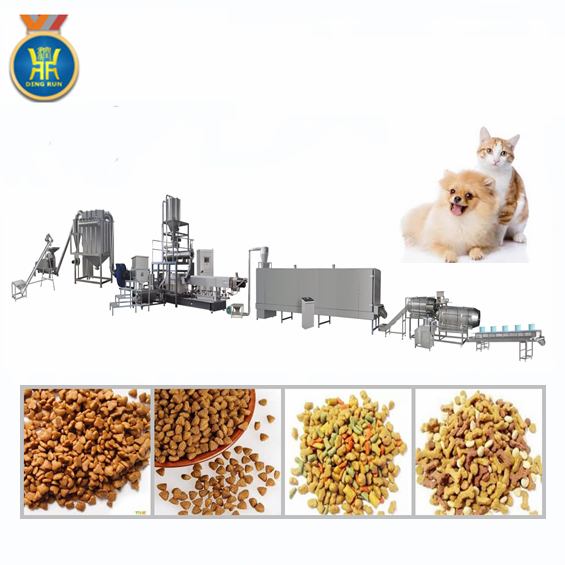 fish feed pellet, fish food, pet food, dog food, cat food, animal food etc. 1. 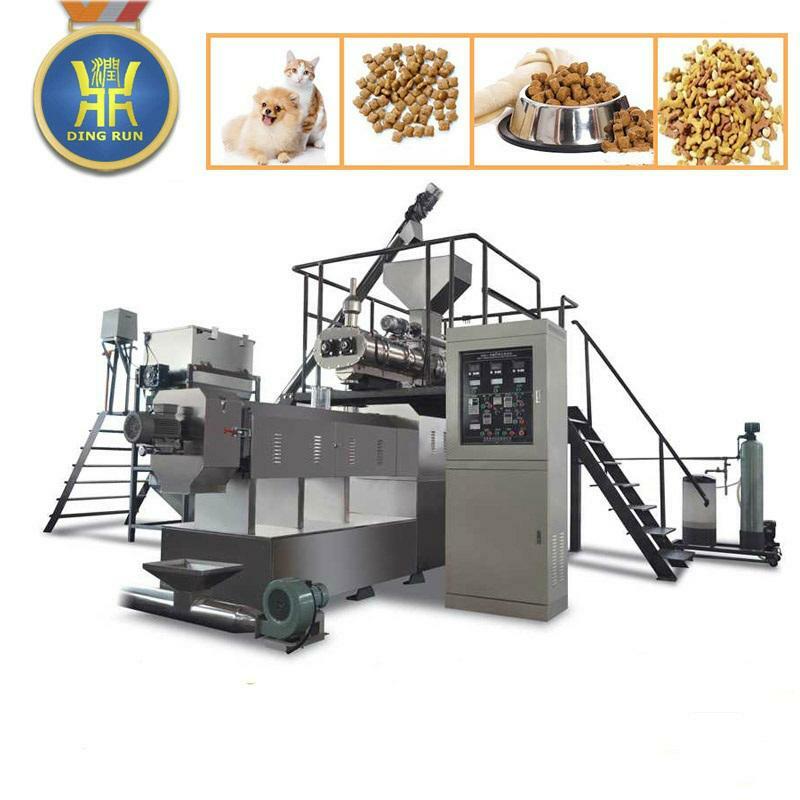 Fish-oil or other nutritious additives are sprayed on the surface of the pellets to improve palatability and conversion rate of feed. 1. Mixer: there are many kinds of model numbers to choose base on the production capacity. to 3ton per hour. 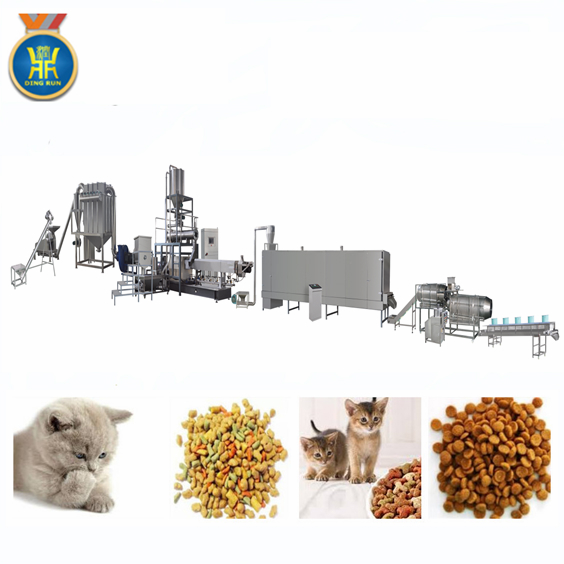 The raw material include corn powder, cereal powder, soybean powder, shrimp powder, fish meal and so on. Shape of the pellet depends on the moulds. 4. 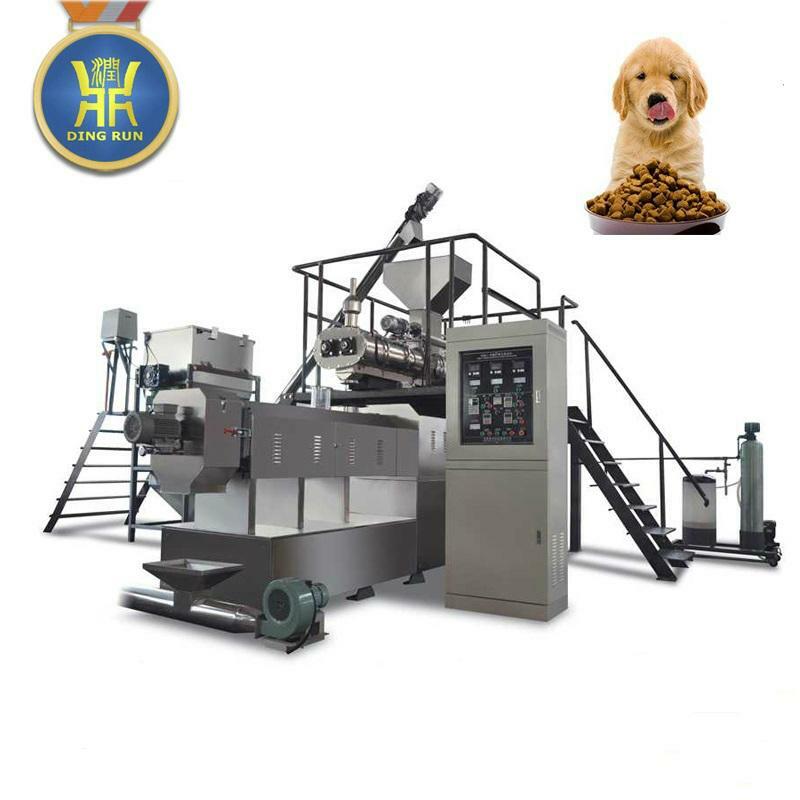 Hoister: to convey the fish food to the dryer, the height of the hoister depends on the dryer. 5 layer 5 meter, 5 layer 7 meter, 5 layer 8 meter, 7 layer 8 meter, 5 layer 10 meter, and 7 layer 10 meter long. 7. Cooling conveyor: To cool the product temperature in order to pack it directly. 9. 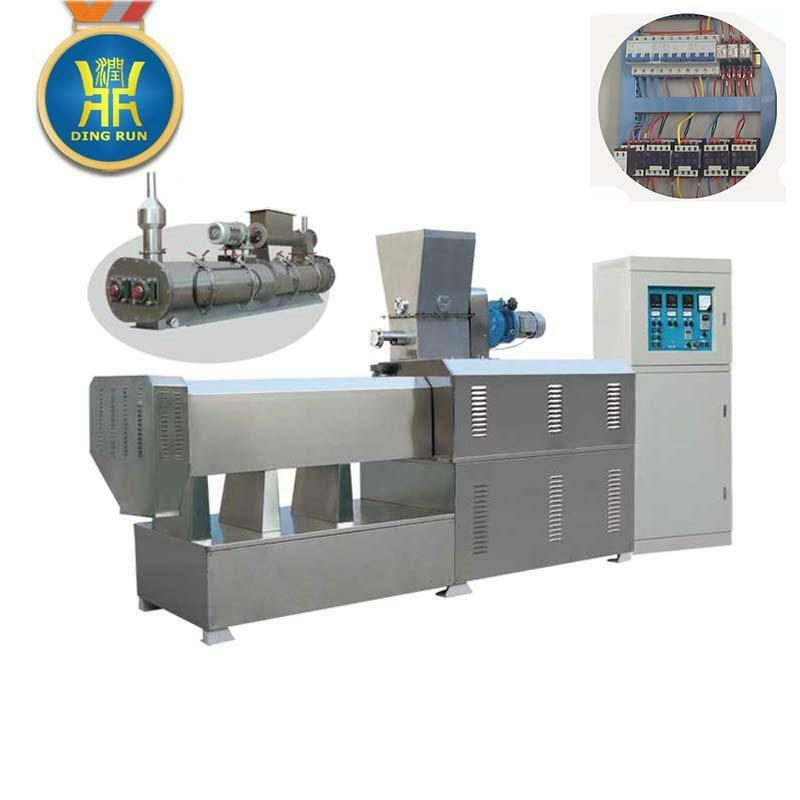 Packaging machine: Manual and automatic packing machine. weight per bag according to your requirement. 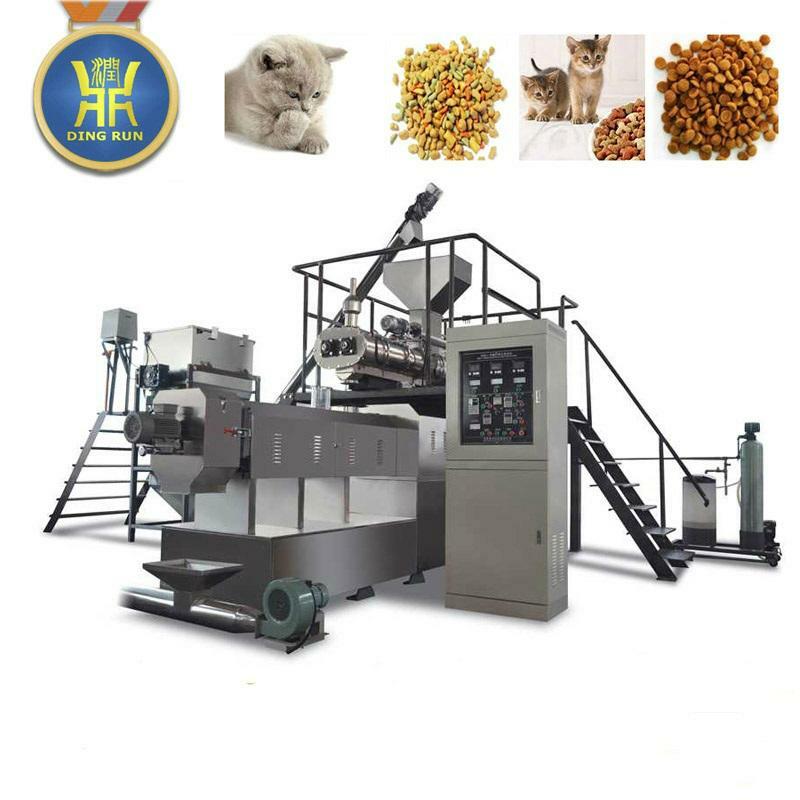 A: yes, our engineer will go to your place to install the fish feed machine and for training.